"Forget It, I Got It"
Here's my other New Orleans lady who's done much in the music business, but is not often associated with her hometown. Merry Clayton is probably best known for her duets with Mick Jagger on the Stones' "Gimme Shelter" and "Tumblin' Dice"; but she has had a long career, recording singles in the 1960's, doing tons of session work singing backup, making at least three albums in the 1970's and a couple thereafter. Read the bio/discography I've linked to for more details of her work. 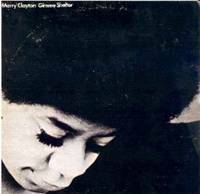 While I knew she was from New Orleans, I had never sought out any of her records; but I found her first album, Gimme Shelter, a few years ago and started listening to it along with her second one, Merry Clayton, that I borrowed from my girlfriend (now my wife). You won't find much readily identifiable New Orleans influence in her music; but she's a talented and powerful singer that the city should be proud to claim as its own. Actually, DJ O-Dub over at soul sides got me thinking about "Forget It, I Got It" about ten days ago, when he posted an instrumental with the same name (but not the same tune) done by Harold Ousley. And so, you now get the one Merry Clayton did, which is a straight ahead soul number revealing some of what she was up to on her first LP. I think this song was also the B-side of her "Country Road" (yes, the James Taylor tune) single taken from the album. The Gimme Shelter title cut doesn't hold up very well against the Stones' original in terms of the playing, but Clayton's strong perfomance puts some fire power into it nonetheless, making worth hearing. I'll post more from her first two records, and maybe something from the much later Emotion LP at some point. While she may be best known for varoius backing vocal appearances on record, she truly shines when she's on her own, making a soulful statement even covering pop/rock tunes of the day. 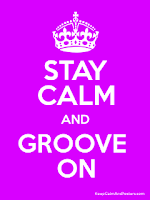 We should not forget about Merry Clayton, because she's got the Home of the Groove in her heart. Thank You for the info. Outstanding website. I will bookmark it for future reference. We love U Auntie Merry!